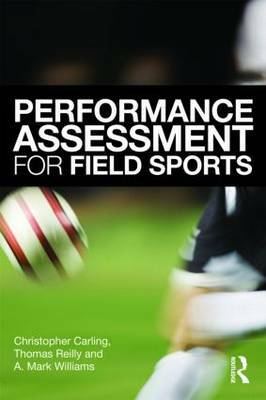 What are the most effective tools, techniques and technologies available to coaches and sport scientists in the assessment of player and team performance? physiologystrength, conditioning and fitnessdecision-makingcoordination and motor skillssport specific skillsteam play. Integrating cutting-edge theory, research and technology with best practice in applied sport science, this book is important reading for all students of sport sciences, kinesiology, human movement science, sports performance, or sports coaching. Christopher Carling is Head of Sports Science at Lille Football Club. Thomas Reilly is Director of the Research Institute for Sport and Exercise Sciences at Liverpool John Moores University. He is President of the World Commission of Science and Sports. A. Mark Williams is Professor of Motor Behaviour at the Research Institute for Sport and Exercise Sciences, Liverpool John Moores University.